Description: This brochure is for the Silent No More Awareness Campaign. 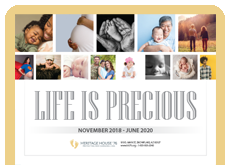 It is designed to give out to women that have completed their Abortion Recovery Program. It answers their questions of What Comes Next. It gives them an action plan of how they can be Silent No More. 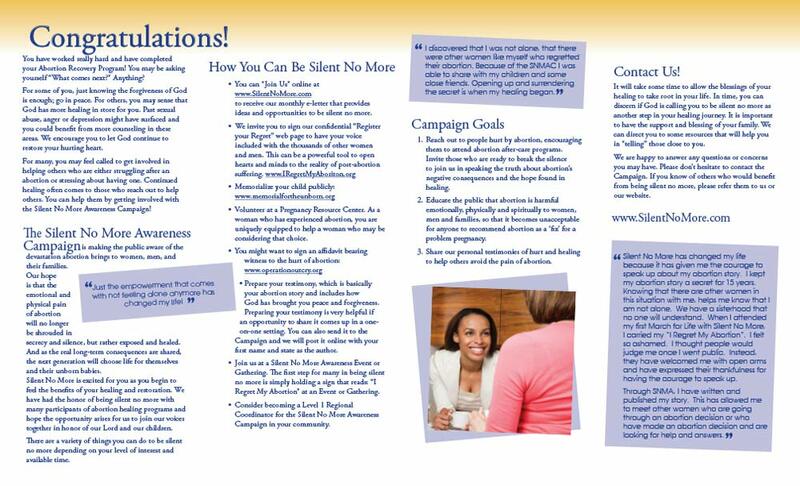 The goals of the campaign, explains how those involved in the campaign work to spread awareness, and discusses how Silent No More helps to reach out to women and men who have been devastated by abortion. 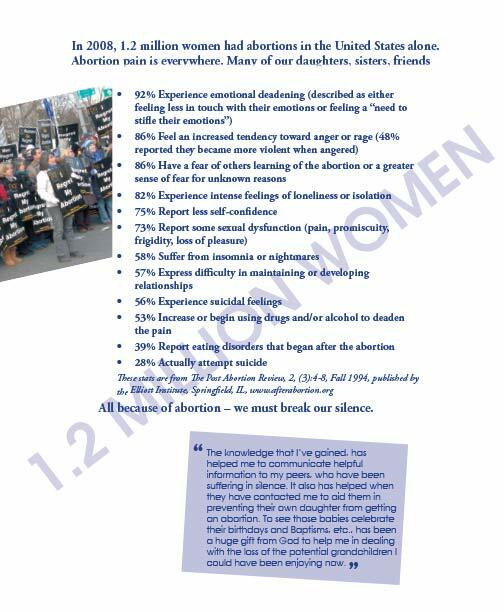 Also included is statistics of abortion in the US.